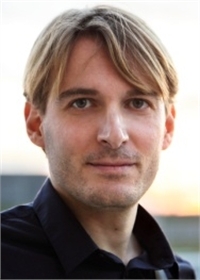 Biography: Andrea Alù is the Founding Director and Einstein Professor at the Photonics Initiative, CUNY Advanced Science Research Center. He received his Laurea (2001) and PhD (2007) from the University of Roma Tre, Italy, and, after a postdoc at the University of Pennsylvania, he joined the faculty of the University of Texas at Austin in 2009, where he was the Temple Foundation Endowed Professor until Jan. 2018. Dr. Alù is a Fellow of IEEE, OSA, SPIE and APS, and has received several scientific awards, including the ICO Prize in Optics (2016), the NSF Alan T. Waterman award (2015), the OSA Adolph Lomb Medal (2013), and the URSI Issac Koga Gold Medal (2011). IEEE Antennas and Propagation Distinguished Lecturer 2015-17. Prof. Alu has several talks on You Tube. Below is a link to one that leads to others including a TED talk.